This popular choice for guests of all ages will give everyone a taste of freedom behind the wheel of their own mini Jeep! All our jeeps are petrol powered by mini 4hp Honda motors and can be adjusted to suit the preferred speed for kids of all ages. They are especially easy to drive: GREEN pedal = GO, RED pedal = STOP. 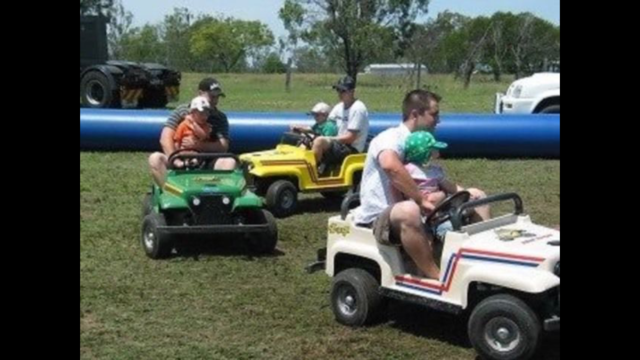 The race track is secured by a 15x20m inflatable barrier to ensure all drivers (young and old) are kept within safe boundaries. All riders under 8 must be accompanied by an adult. Yes our Jeeps can handle grown ups too!